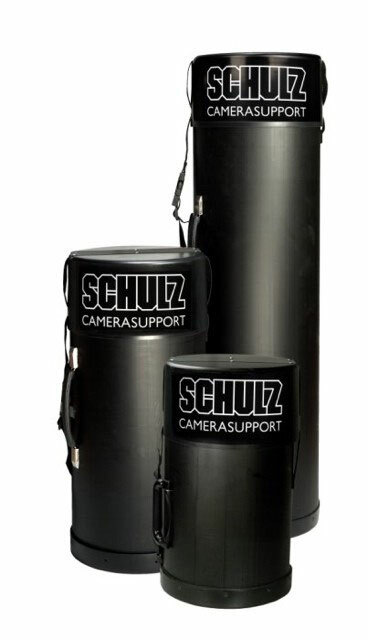 SCHULZ HEAVY DUTY tripods are specially designed to deal with heavy camera equipment. Made out of aluminium and carbonfibre tubes, they provide a reliable tool. 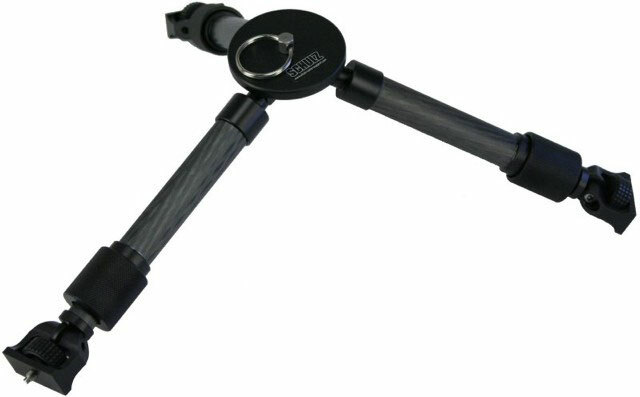 Equipped with a Mitchell plate (with bubble level) or a 150 mm diameter bowl, this tripod offers optimum stability and twisting resistance, thanks in particular to the fact, that the tripod legs can be tightened at the joints. 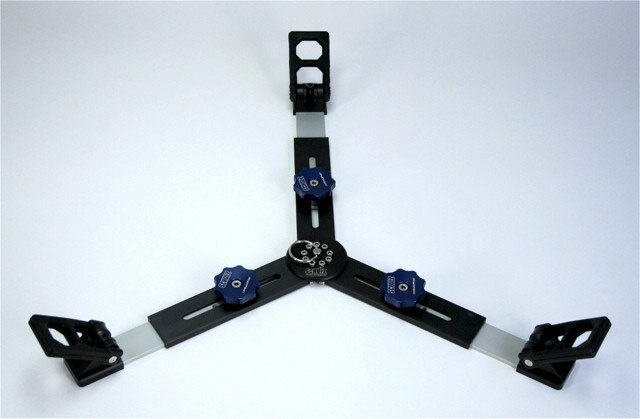 The tripod spikes therefore guarantee secure support anywhere: pegged into soft ground, on the ground spreader or the rubber feet combined with the mid-level spreader. Easy handling is essential to ensure maximum effectiveness in daily use. 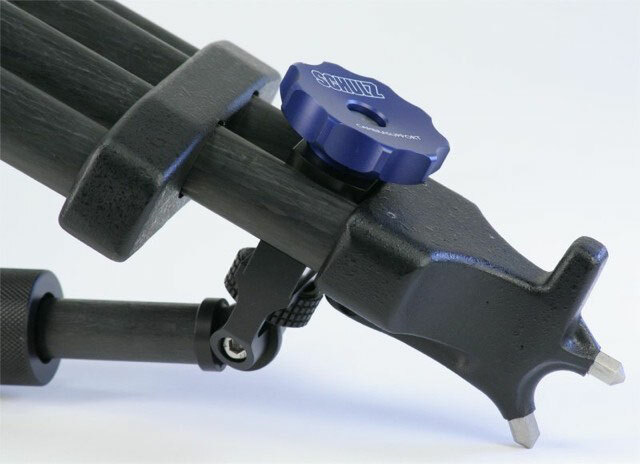 SCHULZ HEAVY DUTY tripods feature safe and easily adjustable clamping devices, while their functional design provides a practical overview of all operating functions. Set of 3 pcs., aluminium, 100mm diam. 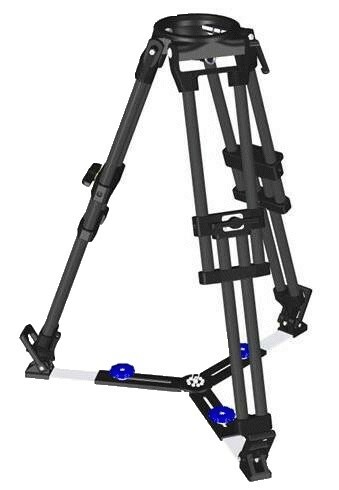 The two-stage carbonfibre tripod adds a lighter tripod to the HEAVY DUTY product line for more flexible use on reporting assignments. It comes with a 150 mm bowl, has a load capacity of up to 90 kg (200 llbs.) and, with its two-stage extension function, covers at least two standard tripod heights. 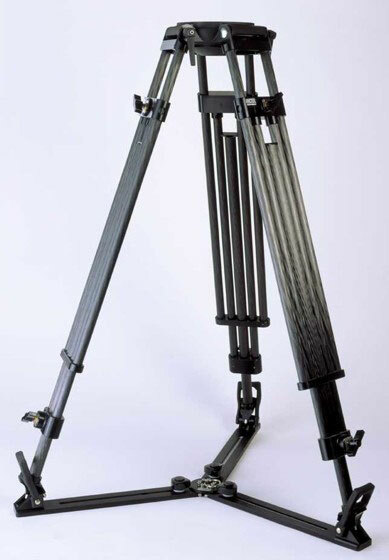 The PRO COMPANION tripod 2-stage is available in various heights. 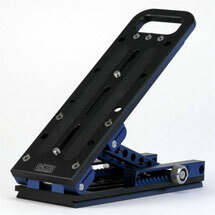 The tried and tested clamping device is also used in the standard HEAVY DUTY tripods. 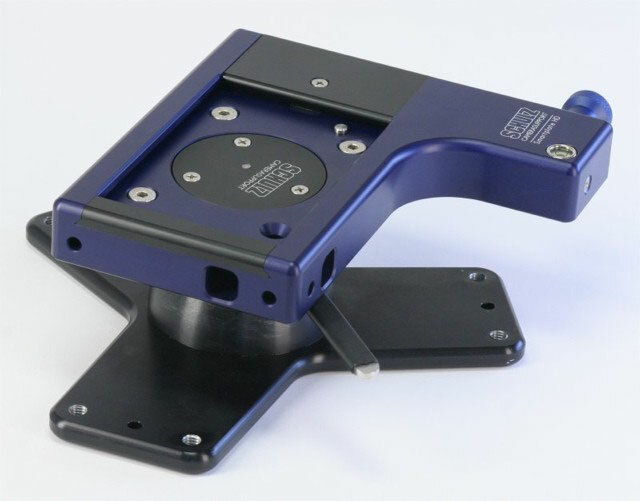 The enhanced technology of the new Hi Hat / Lo Hat is completely compatible with all other items of the SCHULZ HEAVY DUTY tripod product line; the bowls and Mitchell plates correspond to those used by the tripods. Exact levelling on uneven ground and a steady hold in the desired position is achieved through the integrated adjustable three plate-shaped feet. The SCHULZ Hi Hat / Lo Hat is made of cast aluminium to ensure maximum stability and rigidity with minimum weight. The rubber feet and all screws are made of stainless steel. With the added adapters the Lo Hat can be easy modified to a Lo Hat. 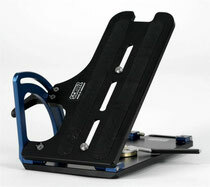 A brand new product is the SCHULZ TILTPLATE LT. 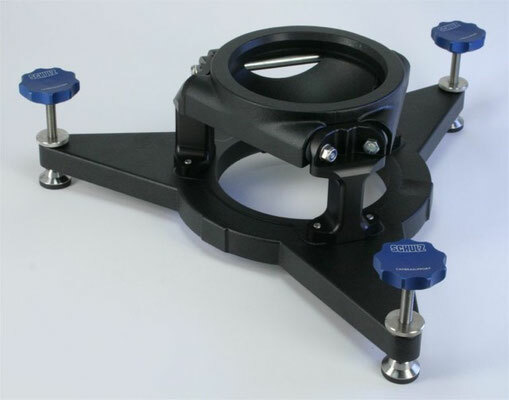 Measuring 105 x 200 mm and weighing only 1 kg, it is suitable for cameras of up to 20 kg. It has an infinitely variable inclination from 0 to 90 degrees. It is also available with a counterweight-arm. The SCHULZ TILTPLATE HD offers the possibility to fix and secure the tripod head of your choice in seven different positions of inclination up to a 90 degree angle. 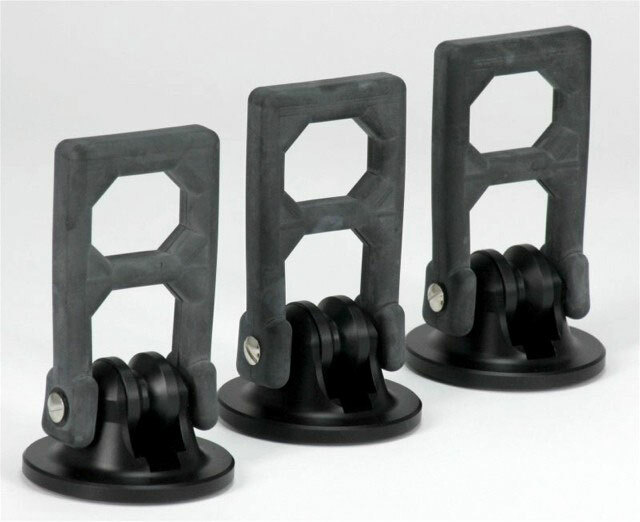 An auto-locking device provides for reliable security when transporting and handling the plate. When folded together for transportation or storage, the measurements of the tiltplate are 150 mm x 330 mm, with a weight of only 3,5 kg. 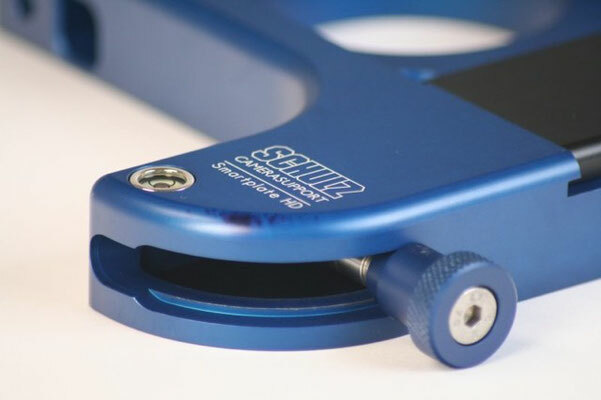 The SCHULZ TILTPLATE HD is made of high-density anodized aluminium. All screws and axes are made of stainless steel. Anti-slipping rubber inlays on top of the plate guarantee a firm mounting for equipment screwed on the top. Even when the locking device is opened accidentally, a safety device ensures the plate does not fold completely, but stops automatically in the next of the seven locking positions. 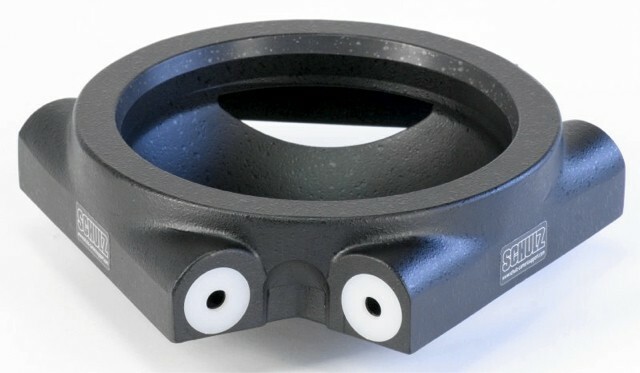 This universal quick release plate allows conventional (3/8"), as well as unconventional (4 holes 6 mm) positioning of the camera. It is new designed to carry every widely used 80 x 120 mm snap-plate and provides an essential aid; in the atelier, lorry, or simply on the set. 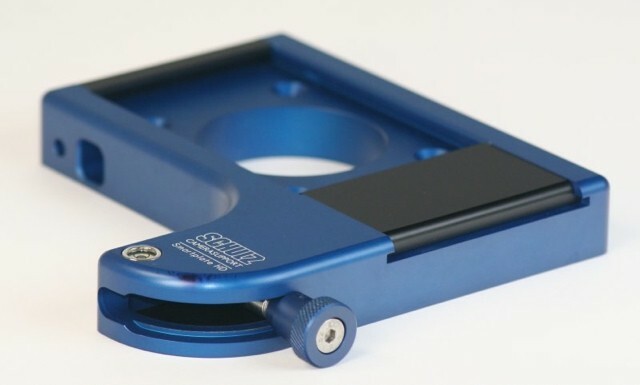 The SCHULZ SHIFTBASE is designed to position any camera at a tilt angle of up to +/- 35 degrees. It comprises a rigid cast aluminium triangle with three steel feet that can be individually levelled up to approx. 5 cm (2 inches). Included with the SCHULZ SHIFTBASE is the SCHULZ SMARTPLATE which is mounted on a newly designed ball-levelling unit, which can be efficiently tightened or opened with one hand. 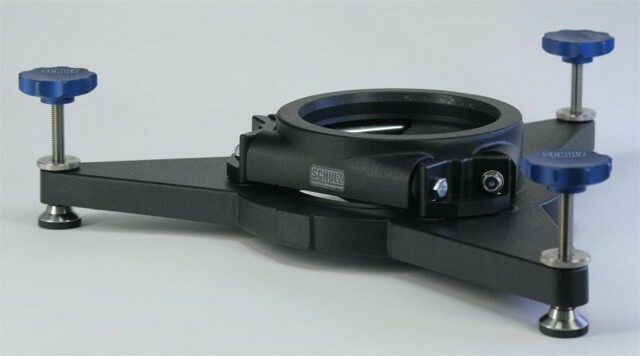 A useful accessory for the SCHULZHEAD HD is the SCHULZ CARBONFIBRE EYEPIECE LEVELLER.